With Complete Super, you choose. Want to be hands on? We'll give you the know how and the tools to make investing a breeze. Want to be hands off? Let us do it all for you. 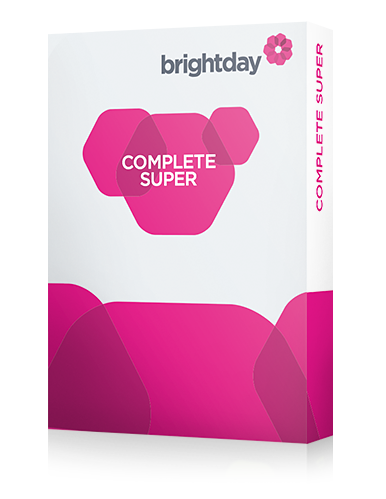 Whether you're coming from an industry fund or an employer fund, brightday Complete Super offers you more options and more support, with one place for all your super activity. Do your research, buy and sell, and manage and report, all in one place. How it works is up to you. You can change your level of involvement any time, as your interest, confidence and commitments change. Want to be hands off? Want to be hands on? Choose from hundreds of investments, across all major asset types. Just complete the application form, then we'll arrange for your funds to be transferred over from your previous super provider(s). When your funds arrive, we'll either invest your money in line with your instructions or you can get started. You use the same simple online form for every type of investment so it couldn't be easier. To reduce risk, we have some rules around how much you can invest in any single ASX stock.